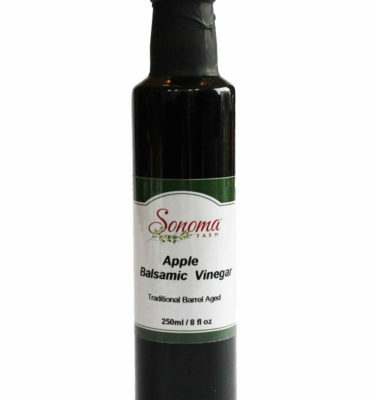 The taste of fresh picked of locally grown Michigan red apples with traditional barrel aged balsamic from Modena, Italy. 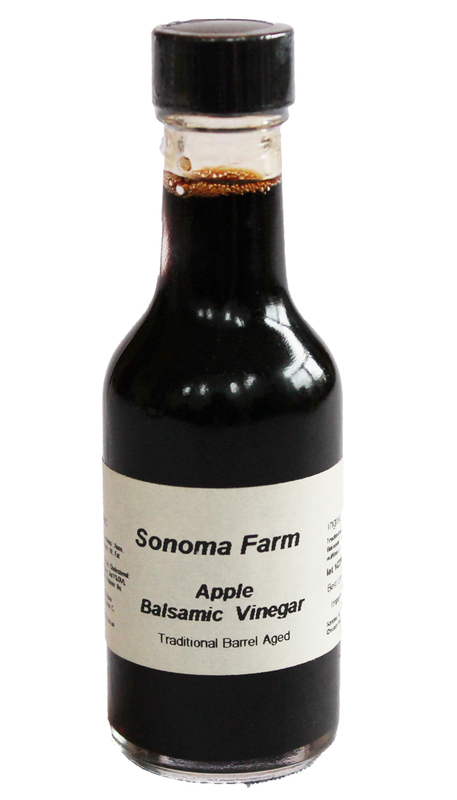 Sonoma Farm’s small batch apple balsamic has an enticing aroma and a delicate, sweet apple flavor, fruitier than most balsamic vinegars. 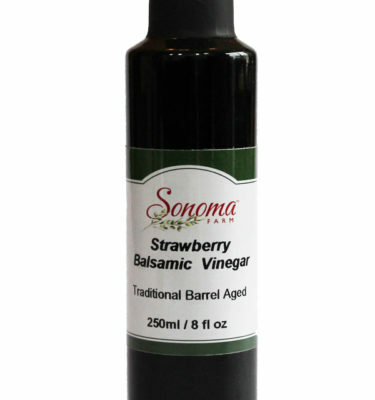 It’s a wonderful way of adding aroma and taste to compliment any dish. Suggestions: It adds a refreshing lift to salads, sauces, chutney’s and vegetables, fruit salads, greens. 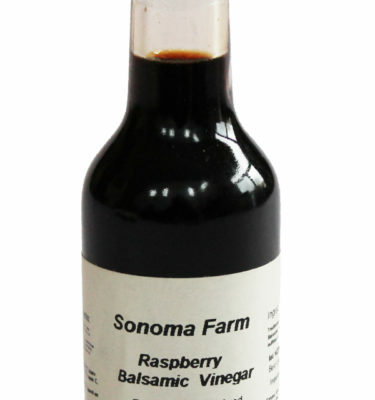 It is amazing drizzled on pork, chicken or fish, meat marinades and summer grilling .